It looks to me that it's a good match with the other one I already had identified in the guide. but different Genus. 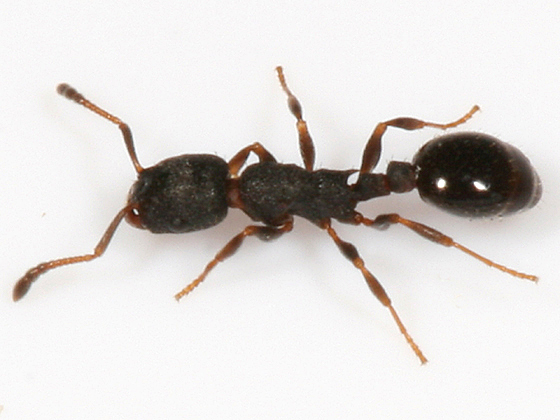 This one worker is a "true" Leptothorax, as shown by its more parallel-sided head, dull rather than shining head and alitrunk (petioles included), and last but not least eleven (rather than twelve) antennal segments. I see the differences, but boy are they close. Thanks Richard.